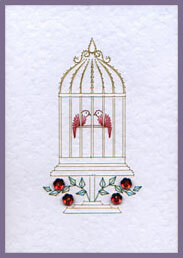 Worked in Gold Metallic and Silky or ‘Glitz’ Threads on a Cream Embossed Card. 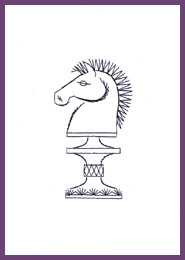 For a Chess enthusiast or the favourite male in your life - a card with a masculine look! Trim it down, glue to a gold backing just showing .5cm of Gold and glue to a Black Card - stunning!